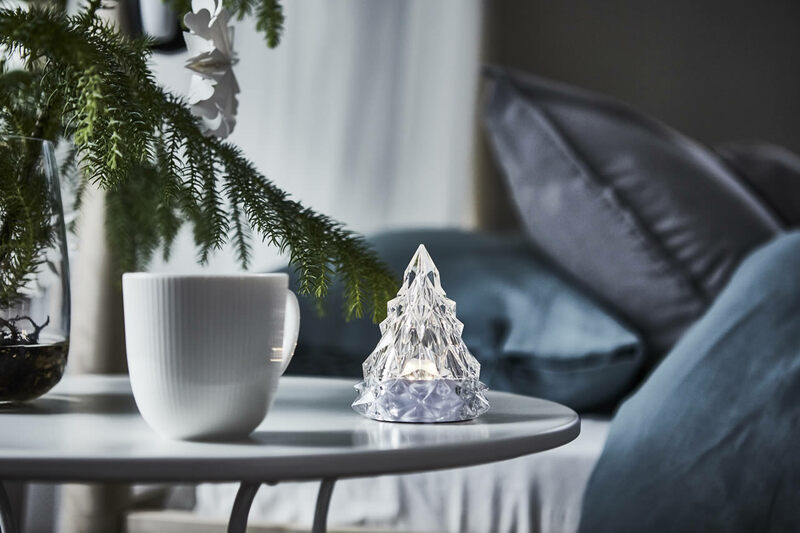 When it comes to the holidays, we believe in taking a step back rather than going all in. Find your own peace and quiet in one of our calm spaces where you can retreat, unwind, and recharge. 1. 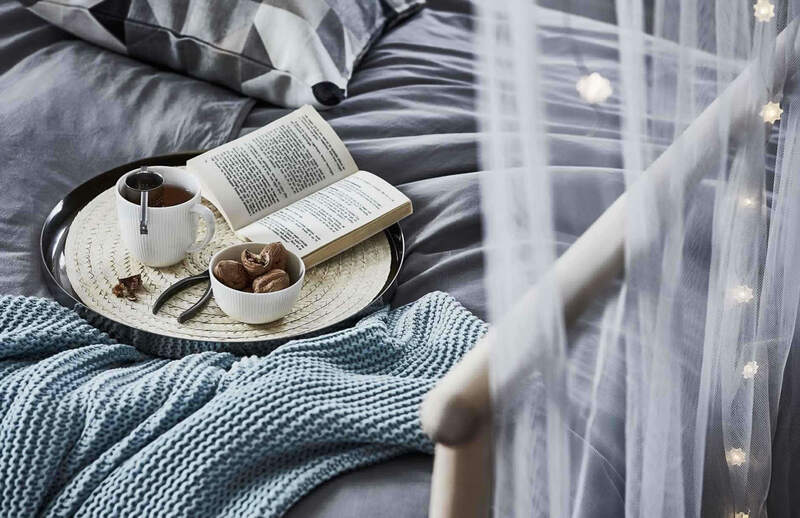 Create the coziest of corners with the help of a day bed with adjustable back cushions, fuzzy pillows and throws, and a mix of direct and mood lighting. 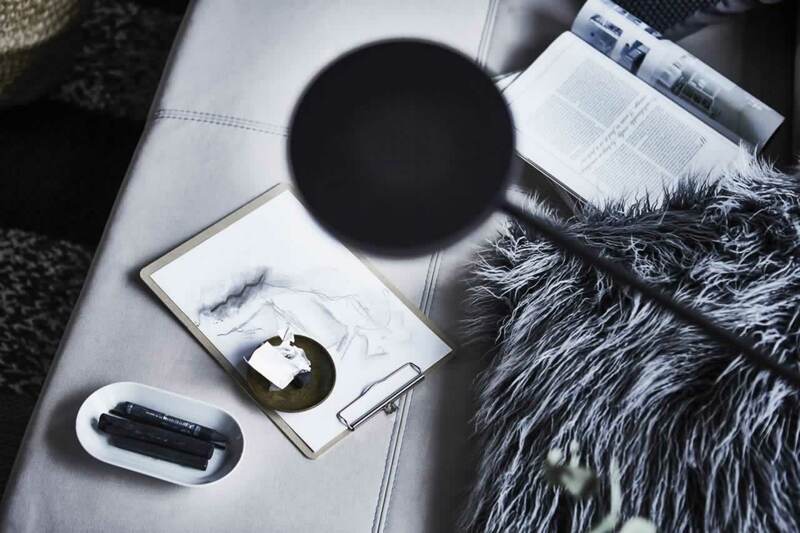 Perfect for reading, drawing or nothing at all. 2. 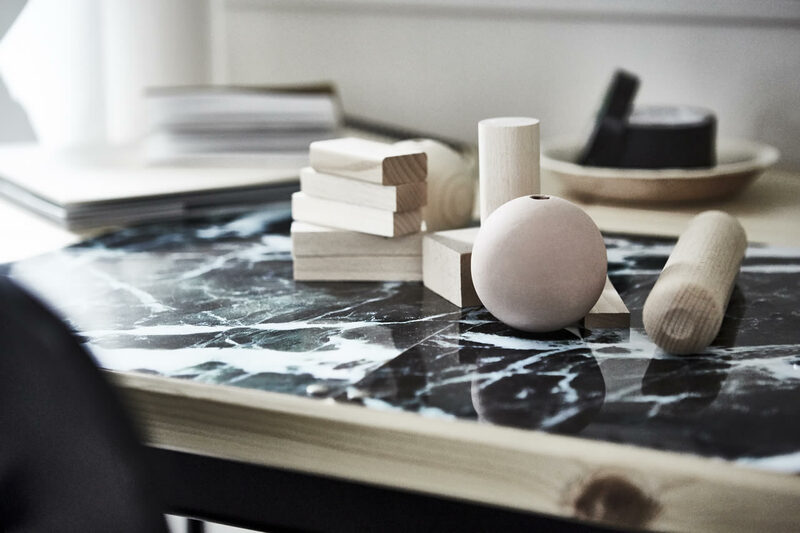 You don’t need an art studio to get creative. 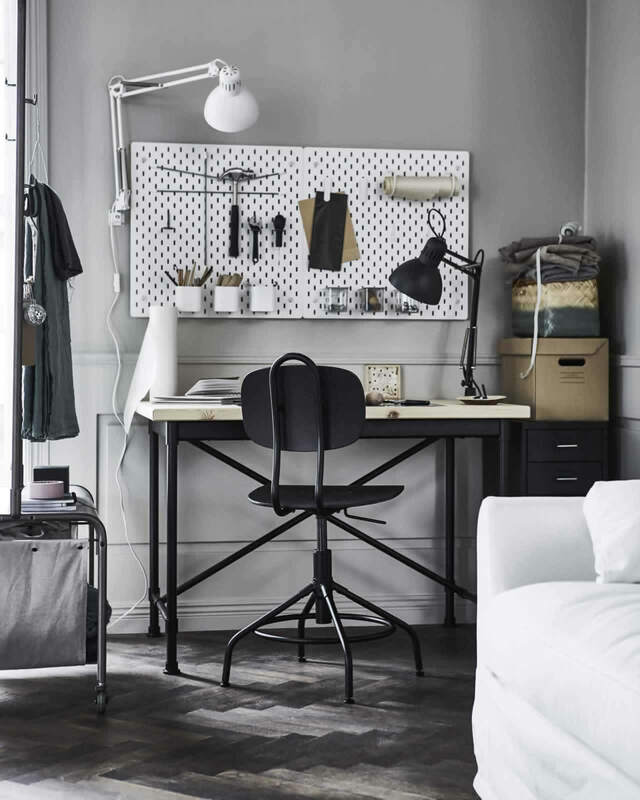 A roomy desk, space-saving storage (we love a good pegboard), and adjustable, direct lighting make the perfect little spot to do your own thing. 3. Tune in, zone out. It’s not that difficult when you’ve got an ethereal retreat like this. 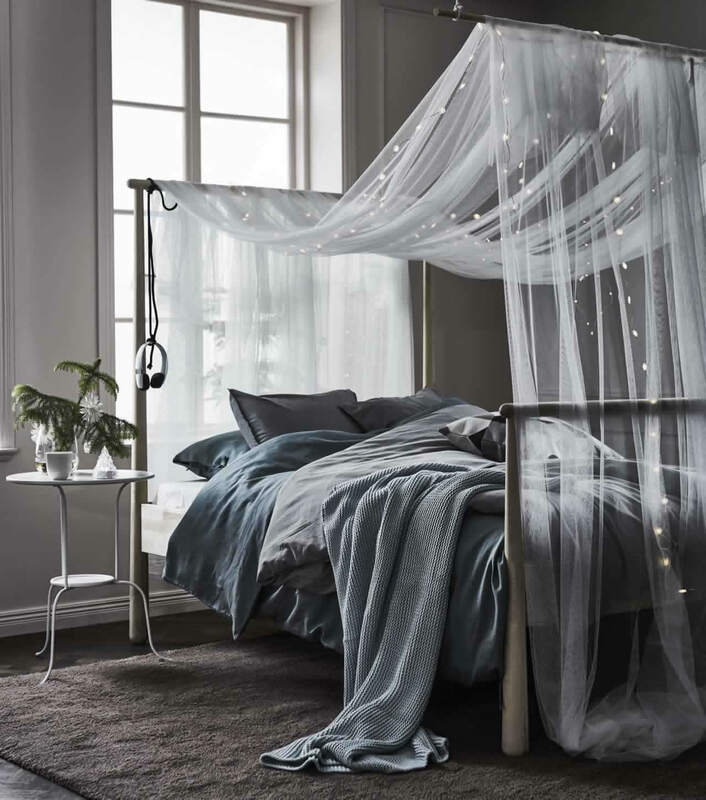 Sheer textiles and light chains coupled with soft pillows and blankets make a perfect place to retreat with your thoughts and your favorite tunes.